I wanted to take a moment to thank my Haddonfield neighbors for getting out the word on the school district’s upcoming bond. Regardless of whether one is for or against the bond, it’s important for residents to have as many perspectives as possible to make an informed decision as to how to vote. I am particularly grateful to Citizens Urging a Responsible Bond and its supporters, whose diligent efforts over the past many months have made me better informed. Too often in the past, we have seen groups and individuals pop up at the 11th hour before Election Day with ad blitzes and letter-writing campaigns claiming that we must rush to pass a bond. That does not afford adequate time for residents to vet those usually negative claims or to respond publicly in writing. Finally, I also want to thank CURB for helping to ensure that our schools are safe and sound for our district’s children. I understand that CURB’s diligence and prodding last year ultimately resulted in the school district investigating and making needed emergency repairs to at least two schools this past summer. If the bond passes on March 8, residents will undoubtedly be better off as a result of CURB’s timely and valuable input. Better yet, if the bond is rejected, residents and elected officials will no doubt work together to come up with an improved proposal — one that preserves the best elements of this bond and better serves our children and other residents. Those opposed to it have an irrational reason for voting no: past neglect. Seriously? Past neglect? So because we have allowed our buildings to become as bad as they are now, they are proposing that we put off these vital fixes to think about it some more? Let’s be smart about what is at stake here, the safety of our children. The bond is costly. The bond will make our property taxes go up. But what makes our homes so valuable in the first place? Our schools. If we allow our schools to go into further decline, some portions perhaps being condemned, people will see this as no longer valuing our schools and more importantly not valuing our children. A young father at one of the information meetings put it so well: If the people of this town don’t value our children enough to pass this bond, I don’t think this is a town I want to raise my children in. Additionally, the group opposed wants to create a committee to review all options and more. People, curb your lack of enthusiasm. Let’s not bog down this process with another layer of bureaucracy. We have elected our BOE members for a purpose. We need to trust them to do their job to make the best decisions they can on behalf of the citizens they represent including our children. They have worked diligently and have acted prudently. Would they like to do more? Yes. Would they like to do it for less? Yes. However, let’s be realistic. They have whittled down the wish list to a must list with the most pressing problems. It is a tedious process that they have already gone through specific to school requirements and needs. Let’s not waste all that hard work to only have to do it again with some micro-managers. If you need to know more, go to one of their many informational meetings. But please come out and vote “yes” on March 8. Do not assume all will be OK. Your kids, grandkids and neighbors’ kids depend on you voting “yes,” and so do your property values. The well-orchestrated campaign to discredit and defeat the Haddonfield school referendum is, in my opinion, misguided. The idea that it contains all this unnecessary spending has been independently shown to be a red herring, and delaying it will only exacerbate the building problems and cause their repair costs to increase down the road — along with probable interest rates. There is also little to be gained debating what past BOEs did or did not do. As I wrote previously, if your school budgets are voted down when they exceed an arbitrary 2 percent cap, bricks and mortar will inevitably be the poor stepchild to educational program. This is not a criticism; it’s a fact of life. But eventually the deferred maintenance piper has to be paid. The current board has identified a clear and present problem, and is asking an average 85 cents a day per household to solve it. Please, let’s not nickel-and-dime our outstanding Haddonfield schools. Vote “yes” on March 8. The multi-million dollar bond issue urged by the school board on the citizen taxpayers of Haddonfield is untimely, grossly excessive and defective. When our superintendent and the board want us to spring millions for a new acquisition, such as Bancroft and athletic fields, we are assured that the facilities under their responsibility and control are in good shape. But then, when the reality displaces the claims previously made, we are told that the structures are in dire straits, not only leaking and crumbling, but also even endangering the children. Further, as the superintendent and board start with an inflated bond amounts starting point, we are expected to heave a sigh of relief when the luxuries and nonessentials are peeled away and we get a new bargain price of $35 million. In Haddonfield, we see that the projected annual increase in taxes on the average home is artfully brought down by the stratagem of extending the duration of the bond from 20 years to 25 years. But of course, we who live in the real world realize that the total cost is vastly increased by the fact that the interest is payable for a much longer time, even at the “reduced” periodic payments. 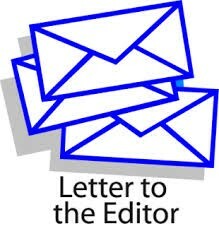 Several of my fellow citizen taxpayers have written incisive, responsible letters for publication that point out some of the numerous areas of defect in the bond proposal. Please reread their letters and see the excellence of the points raised in opposition in the current bond campaign. Many of the costly repair and replacement projects included in the package are thrown in as “bargaining chips” to shift focus from the defects of the bond proposal, to the various items of reductions concession to persuade objectors and “on the fence” citizens to cave in and say OK. The superintendent and the board have failed to solicit in timely fashion input from knowledgeable citizens who have useful expertise. Homeowners know the benefits of making repairs rather than putting out big construction and replacement contracts for bids that include much more than necessary to stabilize and cure periodic problems. When a large limb fell on my garage roof, I patched a hole and have had no leaks. Were I to imitate the board, I would expect huge sums to have the entire roof replaced. Citizen taxpayer engineers, with far greater expertise that I would ever claim, have never been solicited for recommendations. My long experience in government contracting underscored the fact that rarely do the solicitations for contractor proposals even provide any incentive for thrift. Cost-plus a percentage of cost is the most wasteful of taxpayer funds; cost plus a fixed fee is not so bad; but cost plus an incentive fee does not protect the public. That means your money and mine. We stand for quality education, but demand better administration of the funds entrusted. I ask my fellow citizens to ponder all this and vote intelligently, lest we condone bad management of the funds and facilities we are expected to pay for. I, for one, will vote “no” on the present bond. Another bond vote, another town battle with one side accusing the other of not caring for the education of our children. But when one reviews the proposed bond, the issues are fundamentally those of bricks and sticks and how to pay for them. The perceived crux of the vote is the emotional tie to the education of our children. But what about the emotional tie of the bond to the taxpayers, of whom roughly two-thirds do not have children in the school system? If you are a parent who is primarily living in Haddonfield because of the school system, then your decision regarding the bond is likely made. It is also probable that you plan to leave Haddonfield as your last child graduates. It is infamously known that taxes in Haddonfield are high. The fault with this decision is it does not consider the town as a whole nor the long-term consequences of debt this bond presents to those individuals and families whose children have graduated, but still would like to consider Haddonfield their hometown. It does not consider the impact to those senior citizens living on a fixed income or to those families whose income may not support such continual tax intrusion. I do not know of one person who does not want a safe school for students. But as a taxpayer, I want transparency, accountability and leadership. We all should be thorough in sharing information — it is an ethical issue. We want our children to be forthright in giving information and we should exemplify this as adults. The facts of the bond are there, but have they been thoughtfully vetted and prioritized? Rushing a vote on the largest bond this town has considered should raise a red flag for any voter. To its credit, the Board of Education has acknowledged past issues. Now is the time for the board to stop the insanity. The current vote is fundamentally the same as years past with the exception of the size of the bond and perhaps a chance to scare parents into a “yes” vote. It is time to fix the past approach and mistakes. Prioritize those issues of structural nature. Add construction and maintenance experts to the board. Haddonfield is full of knowledgeable professionals and more importantly, trades people. Better yet, Haddonfield could prove its commitment to excellence and include such experience as part of positions on the board. It is nice to know that someone lives in town; however, it is apparent that as voters we also need to elect those volunteers who will not only be concerned for the students, but for the care of the buildings that house those students. Let’s expand our philosophy from excellence in education for our students to include excellence in our care of the infrastructure. We live in a town of predominantly older structures, so it is unsurprising the school buildings have issues that arise. Until we make the actual operation and maintenance of our buildings a priority, the bond issues are only Band-Aids and do not change the systemic issues. No one is dwelling on past mistakes, but the board has not put forth any measurable action plan to change the process. There are known defect issues with past school construction projects. What steps will be taken to avoid the same situations from occurring again? As voters, whether a parent, a student, a senior citizen or an empty nester, it is imperative that we become educated on the issues. Take a few minutes and visit www.haddonfieldcurb.com to understand the other viewpoint as well as to understand why voting “no” for this bond in its current presentation is crucial to preserving the fundamental principles of Haddonfield. It is time to honestly evaluate how our school buildings are cared for. Shame on us as voters if we do not exercise our right to vote our opinion. I have been working to preserve something here in Haddonfield. This is the small town life I loved growing up, and that I moved back for as an adult. I have participated in countless ways, such as First Night, the Tricentennial celebration and as a Board of Education member from 2012–2015. I value nostalgia, yet I also believe in progress. The last major reinvestment in Haddonfield Memorial High School was in 1972, and that is nothing to brag about. Our last school facilities bond for repairs was when the current 11th graders were in kindergarten. We need to progress, reinvest in these grand old buildings that are still standing after generations of use, and unify behind something that is substantial: the preservation of this small town life with our excellent public schools and high property values. The detractors of the bond are also fighting to preserve their ability to keep living here and demanding a qualified return on their investment, which is not wrong. Their viewpoint is something we should consider and learn from. Who doesn’t want their money spent wisely? Haddonfield is a unique place, and we are all right in fighting to preserve what we believe makes it special. Sometimes that puts us at odds. I just finished “Go Set A Watchman,” Harper Lee’s love letter, warts and all, to a dying lifestyle in the South. Societies must progress, cultures must change, but many hold on to tradition as part of their identity. These are the only school buildings we have. The 2,500 students deserve a safe and sturdy learning environment, and we as a community have a responsibility to deliver that at the most responsible cost in a timely manner. The BOE believes that this bond is timely, critical and responsible. During my term on the BOE, my elected colleagues and I, all volunteers and taxpayers, made the decision to conduct an in-depth investigation of the state of the schools — behind the bricks and mortar. The development of the proposed referendum was a public process that took more than two years and extended beyond my elected term. Yet, there is a sense of mistrust — not because of the work of the current board, but because of previous boards. I’m hoping that the community can realize that this board wants to do the right things: reinvest in the schools; hire the right facility engineers; specify the proper materials in the bids; manage and control the spending; and continue listening to the public. Please become an informed voter before March 8. Please visit www.HaddonfieldBondReferendum.com. Please attend the Town Hall in the B Gym on March 3 or pick up the phone and call a BOE member. Please see for yourself that the BOE has developed this bond through careful research and public input. The bottom line is that we are all in this together, unless you are moving next week. The one thing almost all of the voters have in common is our love for Haddonfield, warts and all. As someone who has championed the proper maintenance and repair of Haddonfield’s school facilities for many years, I am pleased that we are finally focusing on the condition of those facilities. The concerns of student safety have been addressed by the BOE. Representatives of the board have conceded separately that if the referendum fails, they would take further interim steps to shore up existing work. At any rate, the projects at issue under the current referendum would not even begin until the summer of 2017, which leaves the board plenty of time to pass a pared-down bond focused on just the essentials. The county has also inspected and approved the repairs to the buildings, so the situation is under close scrutiny. The last-minute uproar concerning student safety should take these facts into account. Looking at current cost and past history, the BOE ran a $12.2 million bond in 2013 to purchase Bancroft for a sports complex. It contained nothing for infrastructure or education. When I asked about these issues, I was told the buildings were safe and school curriculum upgrades could be addressed from the operating budget. The school administration ran a site facilities check in 2014–2015 and deemed the schools safe. Upon attending a BOE meeting last fall, a price tag for $51 million in repairs was presented. I could only think of one word: Astonishment. I watch the sale signs go up all over town with longtime residents unable to handle the tax burden. This bond cost millions of dollars more than it should due to mismanagement and poor spending courtesy of the BOE and the school district. They have been extremely poor stewards of our schools’ infrastructure and for that reason alone they owe the residents a fiscally responsible bond that deals solely with critical infrastructure repair. As I have in the past, I base my non-support for Haddonfield BOE bond referendums on its general behavior toward residents interested in conditions on a neglected district property at Radnor Field. Dismissive, disingenuous, unresponsive, condescending … these are some of the ways they’ve responded to serious issues about maintenance, security, parking and other concerns at Radnor. The current bond initiative has been hinky from the start. Put on an obvious fast-track by the board, attentive citizens found various flaws with the proposal. Additionally, assurances about the use of earlier bonded funds were thinly explained, in my view. A kind-of “trust me” by the superintendent fell flat with me. I try not to be cynical…but I am always skeptical. And this board does little to inspire confidence, especially for a sum as large as $35 million. This idea should be voted down and recast. One would have to think a lot of must-haves could be attained with around $20 million. Because they make decisions that affect other people’s children, and have the power to raise property taxes, school boards across the country are the frequent recipients of criticism by members of their communities. Sometimes the criticism has merit and is communicated in a civil manner; sometimes not. • The elected members of the Board of Education are your neighbors. We are unpaid volunteers who spend an extraordinary amount of time carrying out our duties. We all serve on several committees; some of us chair those committees, taking on even more work. We care as deeply about our town as you do. We are not aloof or out of touch; we too have children in the public schools. We are dedicated and conscientious and strive to make thoughtful, appropriate decisions after consulting with a wide range of experts and community members. At the same time, we recognize that we are not infallible. While some members of the community might not agree with some decisions we make, we hope all will acknowledge that we always act in what we genuinely believe to be the best interests of the community and its children. • Asking residents for money via property taxes is one of the most difficult things we have to do. We do not take it lightly and ask only when absolutely necessary. We pay taxes too, and, like other members of the community, we feel the burden that increased taxes can impose. We always strive to ask for the minimum necessary. When a referendum is approved, we intend to work with a representative group of community members to ensure that the funds entrusted to our care are well spent. • The BOE is not a static entity. Because three seats become vacant each year, the composition and dynamics of the board can change from year to year. Within the context of established policy and procedures, the way a current board approaches certain matters might be quite different from the way its predecessors approached the same or similar matters. Please bear that in mind when considering the referendum proposals. I hope you will take the time to learn about the three proposals that are the subject of this referendum, to understand why the board is putting these proposals before you, and why we believe that all of this work must be done, without delay. I hope you will attend the Open Mic Community Discussion on Thursday, March 3 at 7 p.m. in the B Gym at the high school. And finally, regardless of whether you support or oppose the proposals, I hope you will vote on Tuesday, March 8. As far back as I can remember, Haddonfield residents have been very generous when it comes to our children’s education. Sadly, the upcoming school facilities bond goes beyond asking residents to be generous — it asks us to surrender our common sense. That reality struck me the other day when I read a Facebook post by a current school board member who suggested that we should view the bond favorably as an “interest-free loan.” Yet, the bond is hardly free in any sense of the word. Quite the opposite: the district, by neglecting needed routine maintenance for years, made a very poor investment choice with the $34.3 million it raised from residents through the 1999, 2000 and 2004 bonds for district-wide maintenance, repairs, etc. Now the district wants residents to fix many of the same problems to the tune of tens of millions of dollars. In the meantime, Haddonfield taxpayers, saddled with remaining school bond debt of $14 million in principal plus interest, are obligated to pay for ineffective repairs, poor materials, bad design and poor workmanship, much of which was supposed to be addressed in those three prior bonds. Is the district unaware of the seminal Biedenweg study, which found that every $1 in deferred maintenance ends up costing $4 in capital/bond funding later? I recently obtained copies of the Haddonfield Public Schools’ government-mandated facilities checklists for the 2014–2015 and 2015–2016 school years. Every school year, each school district in Camden County must submit the facilities checklist to the county superintendent, which attests to the health, safety and condition of a district’s school facilities. Prior to Haddonfield residents, several of whom now support CURB, having raised concerns in 2014–2015 about the condition of our schools, our district’s facilities checklists represented that all of our school buildings were pristine and had few if any violations. After citizens became involved in early 2015, the county superintendent’s office personally inspected the district’s school buildings, and the county’s findings differed dramatically from the district’s prior findings. The 2015–2016 facilities checklist suddenly disclosed that the buildings are in fact noncompliant and have numerous violations. Why the discrepancy, and who will be held accountable? Now we residents are being asked to have confidence that the district will get it right in this bond. In speaking with neighbors, the overwhelming consensus I’m finding is that residents will dig deeper into their pockets only when convinced that our BOE will manage maintenance and funding competently. For now, residents are not willing to surrender their collective common sense to a faulty bond or continued poor oversight. We all agree that responsible investment in our schools is an important civic responsibility. We also agree that crumbling and unsafe buildings, one of which requires safety netting to catch falling debris, are unacceptable to a community so proud of and committed to its school system. For the safety of our students and staff, I urge all voters to vote “yes” and pass the upcoming bond referendum March 8. As you are by now aware, critically needed repairs at each school must be addressed as soon as possible. It will take 15 months or more to properly prepare for the recommended repairs — time is of the essence. This timeframe allows architects and engineers to thoroughly prepare their plans, for contracts to be bid, received and awarded and for work to commence during the summer of 2017. Some have advocated a “no” vote in March to force a smaller bond in September. Although it is true that a “no” vote in March will result in another bond referendum in September, waiting to pass a bond in September only pushes the timetable on repairs back further (up to a year or more) while conditions in the schools continue to deteriorate. If some of the critical needs outlined in Question 1 of the bond are not addressed in a reasonable timeframe, school officials will be forced to close those areas of buildings deemed unsafe. A delayed vote is not in the best interest of our children. Moreover, our committee is unable to identify any projects in the proposed referendum that could possibly be deemed non-essential and therefore targets for removal.